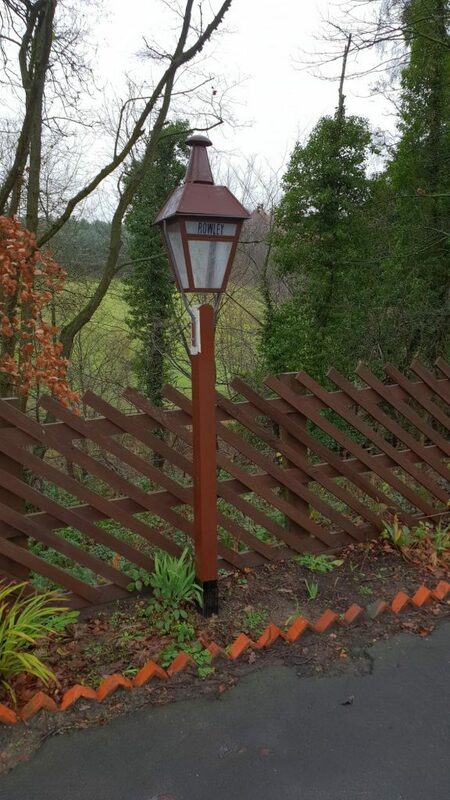 Below: With the assistance of the Friends of Beamish workshop team, new oil lamp posts and brackets have been manufactured, and are seen in these photos being trial fitted then completed (and fully painted). The lamp tops were made by one of the volunteers in the RHEC. The station was never anything other than oil lit, and the team have been keen to retain this feature – we will resist any electric lighting being installed in the immediate station area! 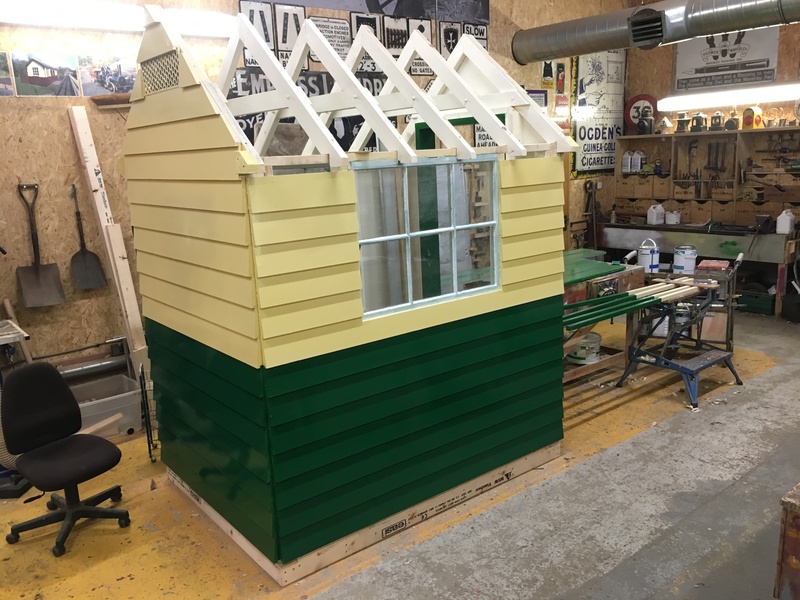 Below: This replica of an NER crossing cabin has now been flat packed in readiness for installation on site. The LNER colours have been toned down as the aim is to have a faded LNER liveried building, set in the early 1950s (so not yet repainted into BR regional colours) to compliment what will be the adjacent 1950s developments. Below: The regular (occasional!) working group of narrow gauge volunteers have started work on a further two Ffestiniog granite waggons. 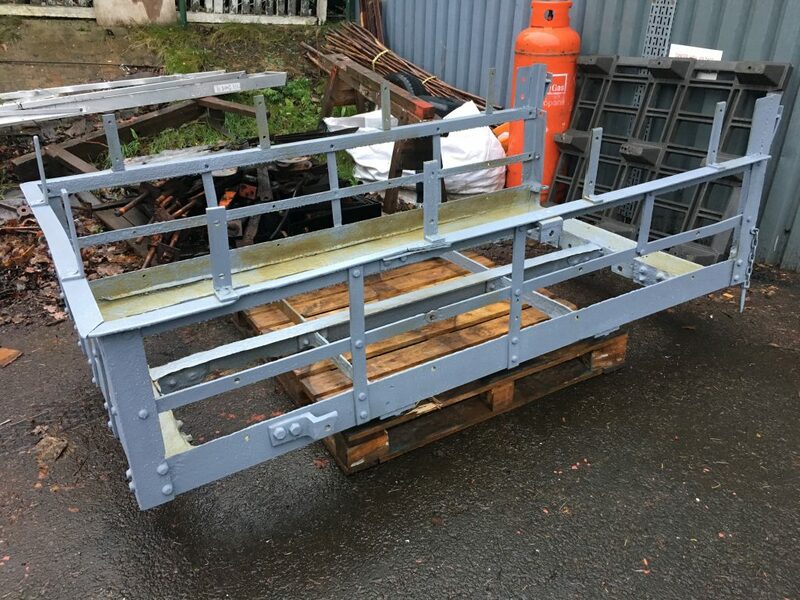 These were stripped over the period of one working session and their components have subsequently been shot-blasted and primed. 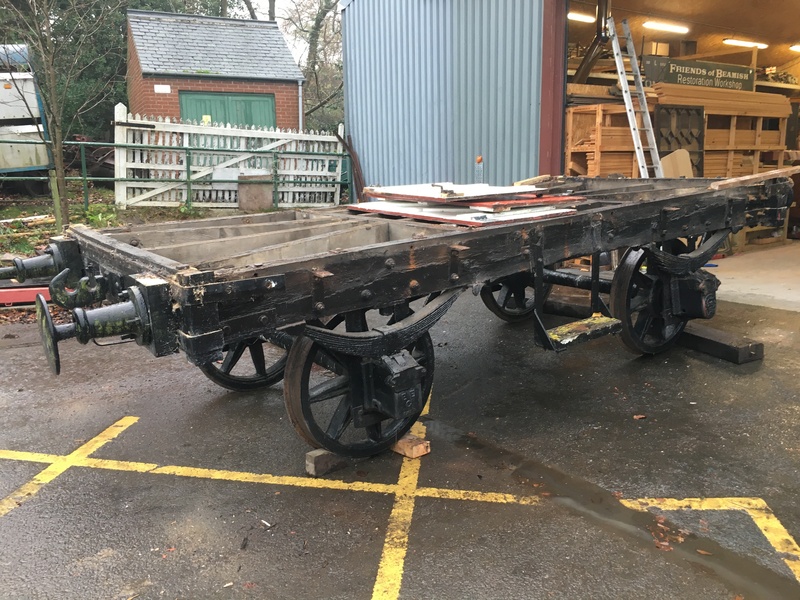 The nearest waggon shows how a new spine will be required, as well as other repairs to the wrought iron frame. 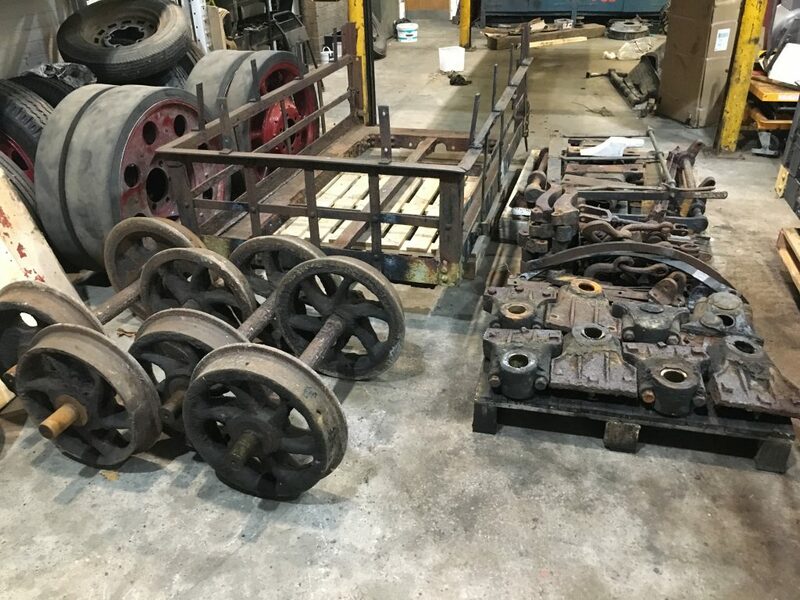 Several pallets contain the couplings, brakegear and axleboxes which will all be overhauled/renewed (three sets in fact, to allow for the completion of the fourth waggon which remains in store). 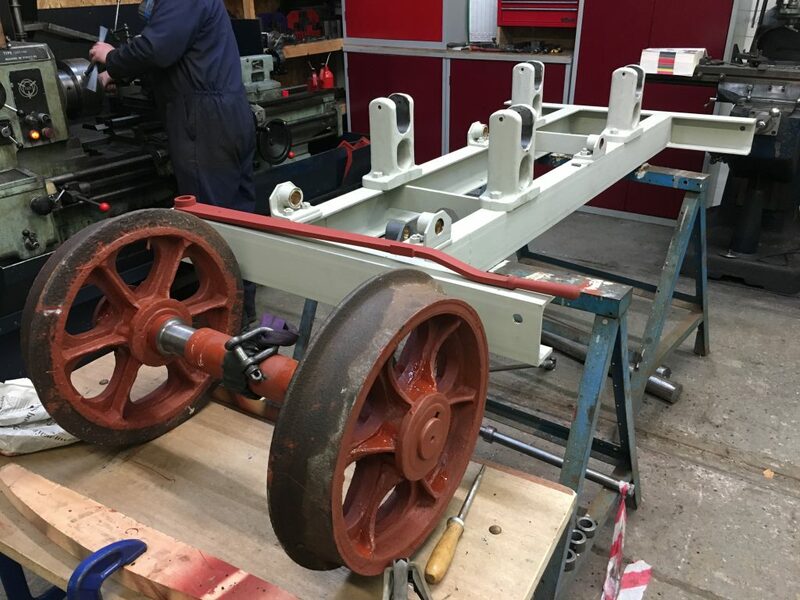 All of this work is carried out by volunteers and their efforts so far have seen a number of waggons restored and available for us to use on the narrow gauge railway – which still remains in our plans for more regular operation. To this end some winter development work is taking place to improve visitor access to the space. We also have plans to improve the access to the locomotives there when not operational – but this is very much as and when we have time/resources to carry this work out. Below: Some of the components as received back from shot-blasting and priming. 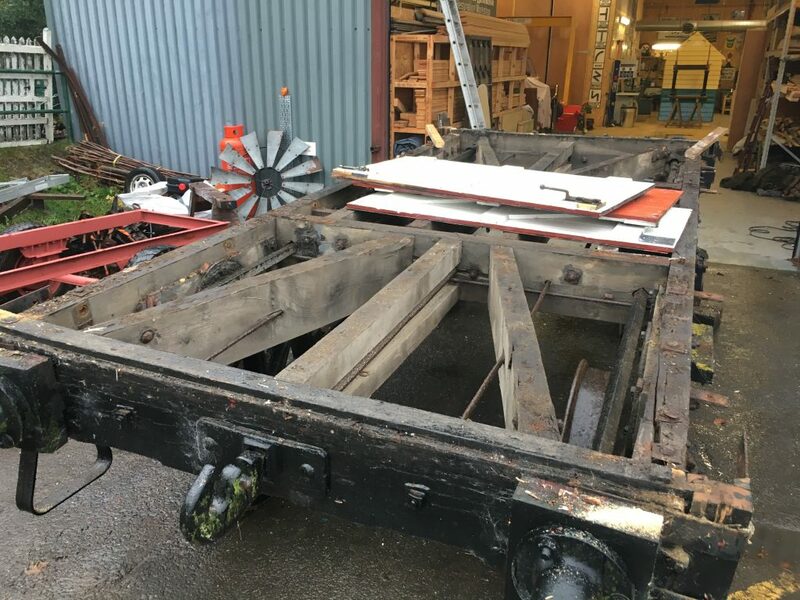 Considerable repairs to the frames and structure of the waggons will follow, the timber lining having been removed and stored for reuse later. 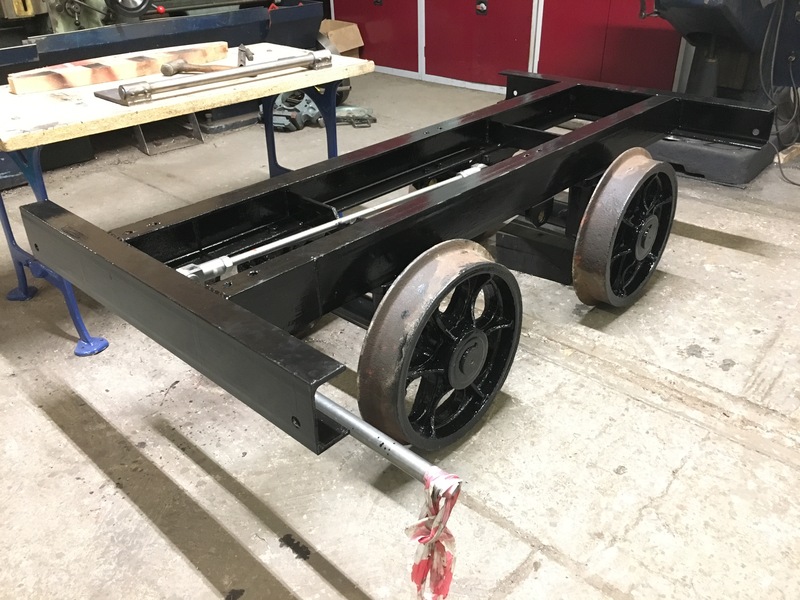 Below: Dave Young has progressed the chassis for the Pew coach, which is seen initially in primer, then in completed black paintwork. 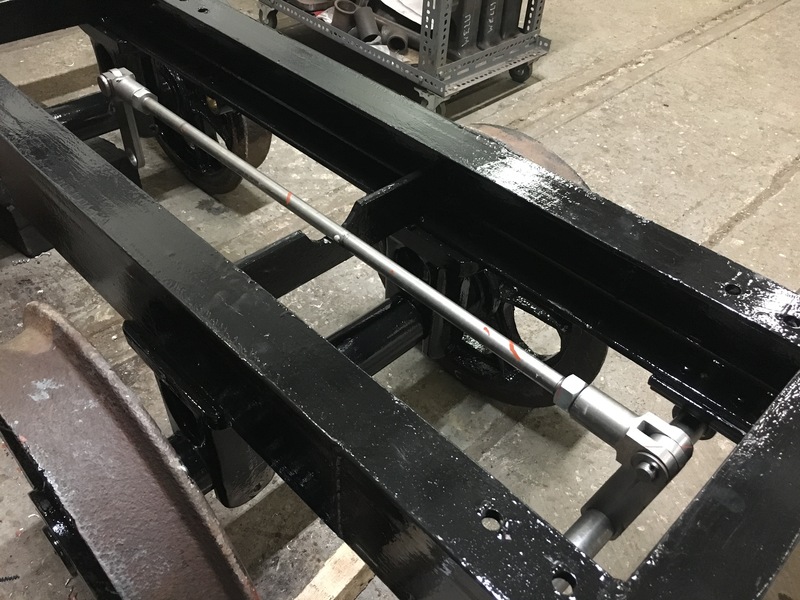 The brakegear will be painted black once the final welds of the crank arms to the cross-shafts has been completed. The long brake lever is also evident in these photographs. 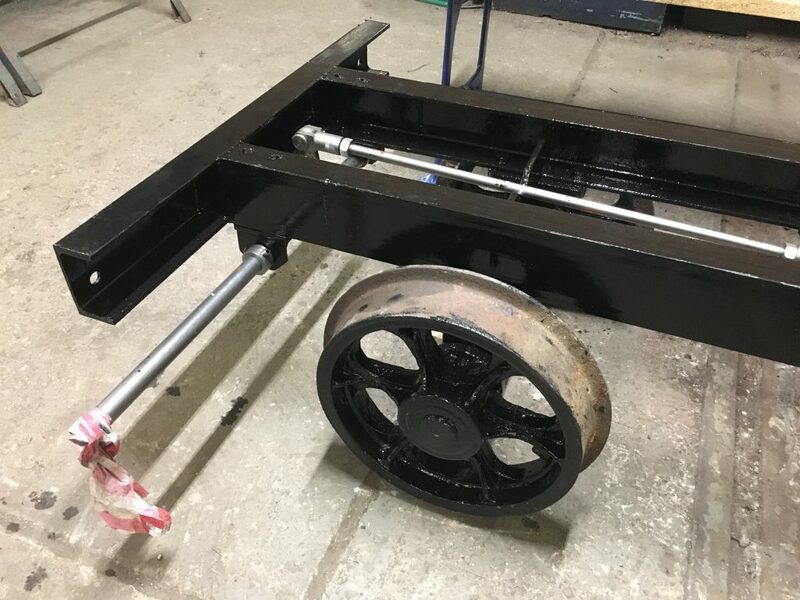 Below: The assembled chassis, with redundant Ffestiniog wheels on new axles. 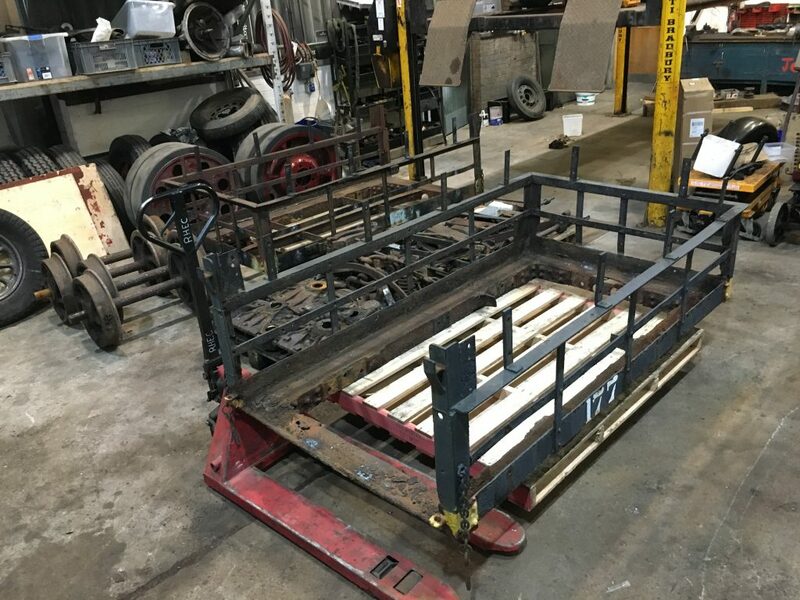 The steel chassis is entirely concealed by the coach body, which readers may recall has been assembled from spare and offcut church pew components. Below: Don is currently busily engaged in rebuilding the gallopers centre engine. 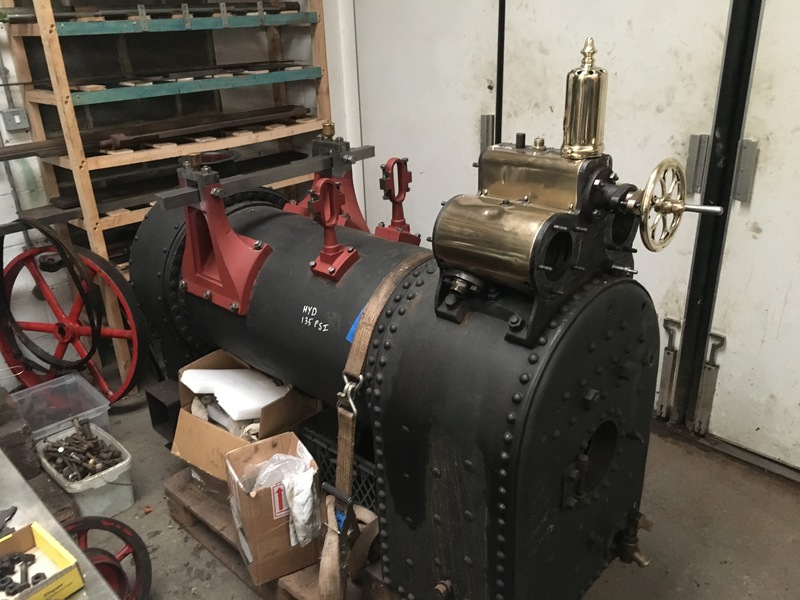 Dating from 1895 and named ‘May Queen’ it received a new boiler and overhaul when first purchased by Beamish several years ago. The boiler was recently retubed (because of its inaccessibility when mounted on the ride, and the need to be absolutely reliable, our maintenance plan for the engine is based on a five year cycle for retubing, whether needed or not on the fifth anniversary) and is now having the engine unit reassembled onto it as each component is refurbished. Below: When the crankshaft was dismantled, it was twisted upon lifting, causing one of the brackets to break around an old fracture. Initially a new casting was made, but further advice was that specialist welding techniques would achieve the same result, and save extensive set-up and machining work. 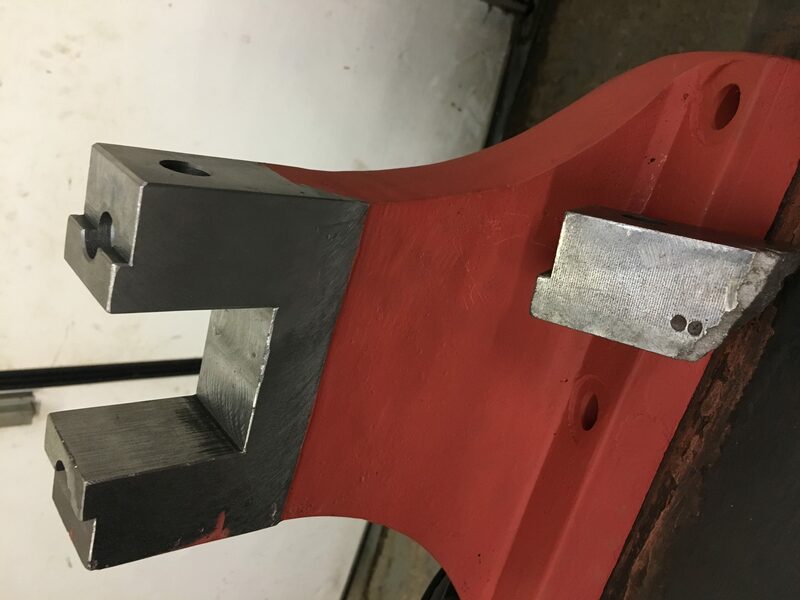 The welding solution has worked well and the result is seen here – the broken upright of the pedestal is seen in the foreground, whilst its replacement is seen above – the whole thing being made up by a welding process, rather than an attempt to prepare and reattach the original. The result is much stronger. The following images show the pedestals being set up on the boiler, with new studs also featuring. The sideways thrust caused by the operation of the water pump on the crankshaft is also being addressed. 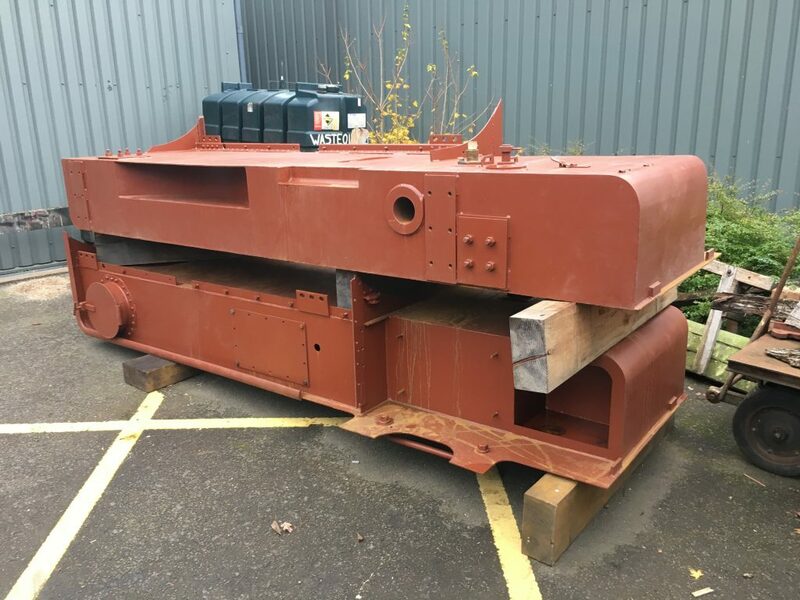 As has been mentioned previously, the crankshaft itself has had cracking repaired and following straightening, it has been sent for grinding. Below: The bare chassis is seen here. 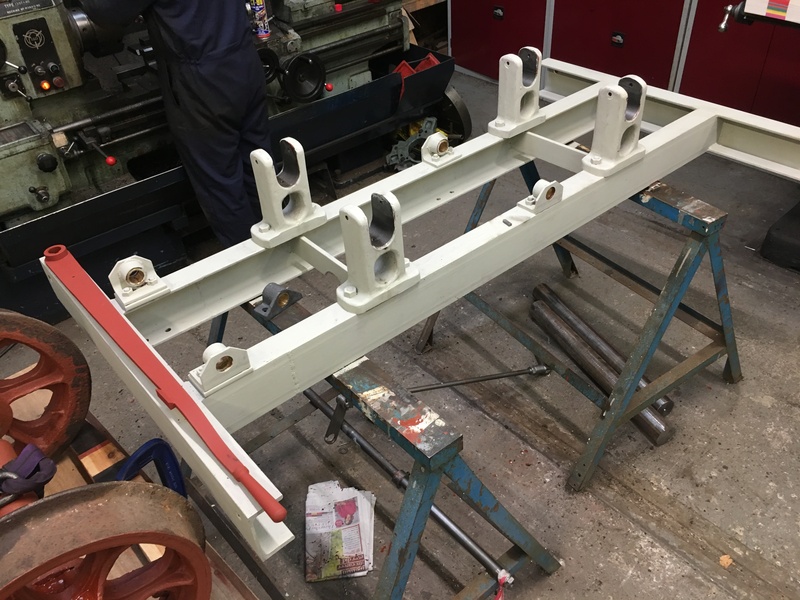 Below: The original floor from the van has been refitted and will be strengthened by longitudinal rails mounted on the brackets (visible along the solebar). Some further tidying, addition of a handrail and then fitting two-foot gauge rails will complete the job. We are also substituting the ratchet handbrake guide with a hole and pin version – to enable a positive application of the brake when parked. 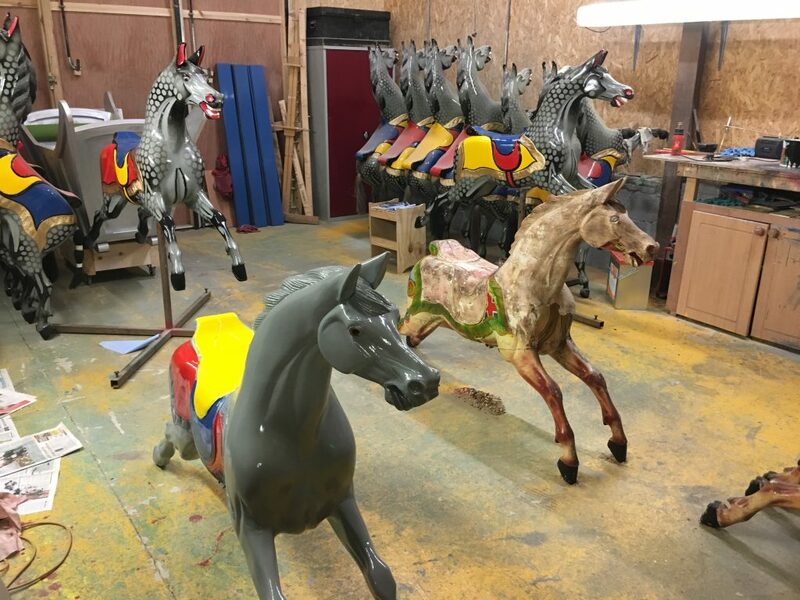 Below: Rebecca is now something like 24 horses into her 36 horse repainting odyssey – finished examples can be seen propped against the paintshop walls, whilst further examples are prepared in the middle of the room. 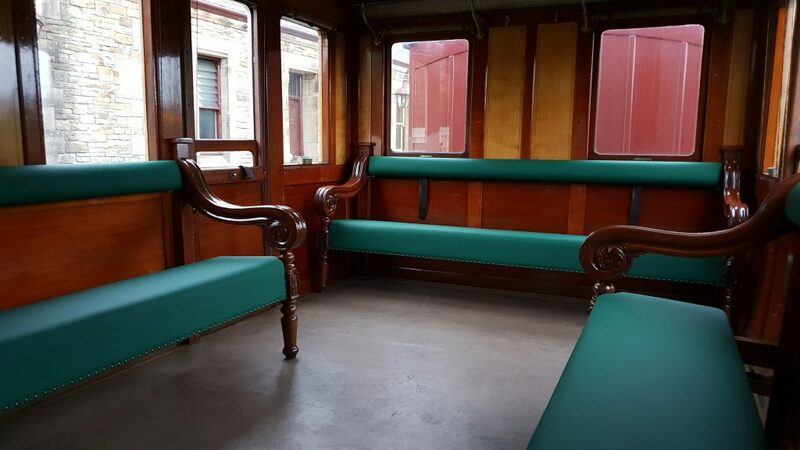 Below: The newly made and upholstered seat swabs for a little workshop project of narrow gauge interest have been delivered. 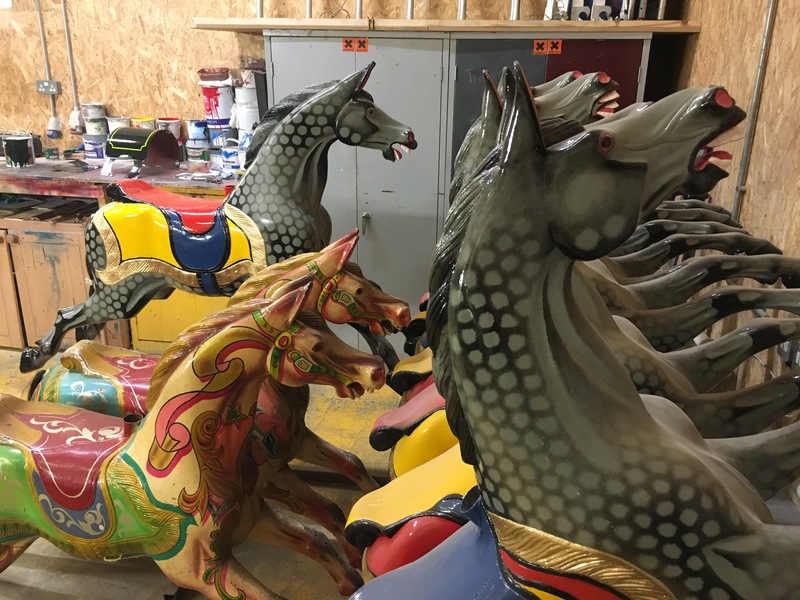 These were made at the same time as the new benches for the Duke of Sutherland Saloon 58A. 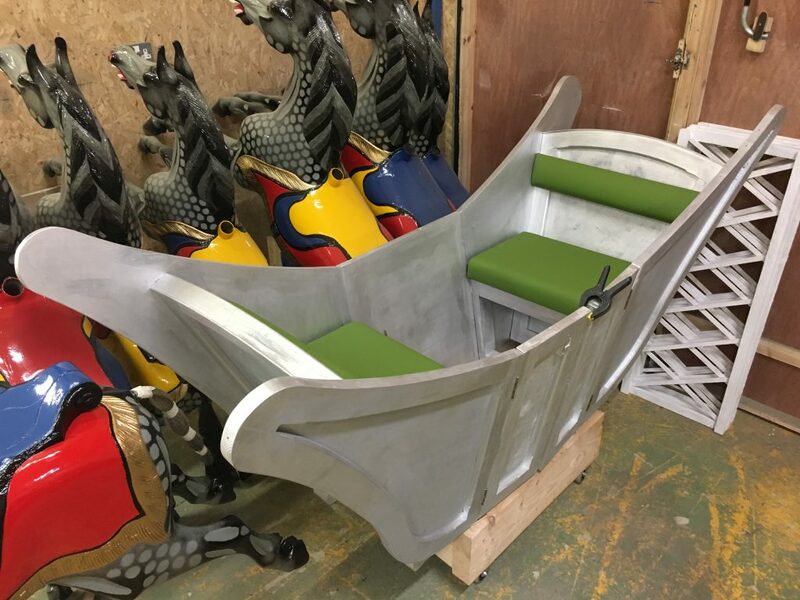 The coach will be finished in dark and light green, per the written evidence for a coach used at Seaham in the Londonderry era. 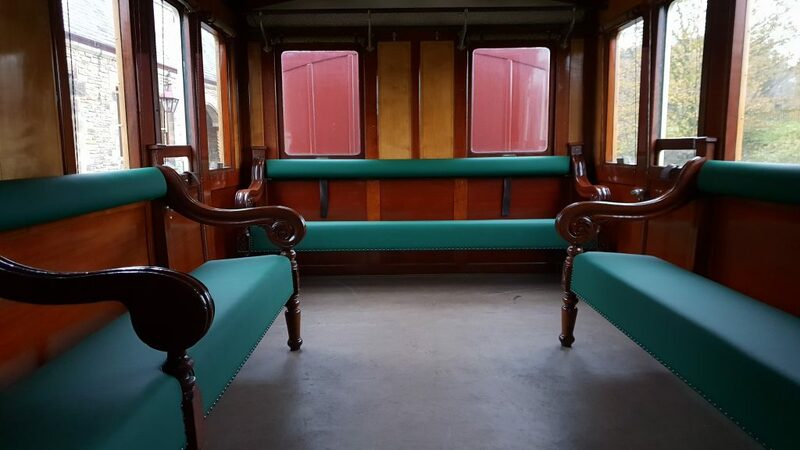 Below: These two views show the completed bench seats within 58A, trimmed in a colour sympathetic to the livery of the coach, and stained and varnished to match the interior finish, which is the original (cleaned and conserved). They are extremely comfortable! Below: A small job that has been progressing in the background is the manufacture of a large number of brackets – these will mount signs outlining the ‘conditions of carriage’ on the tramway and buses, which in turn are colour coded – green backed for tramway, yellow and brown for bus route (the old Newcastle Corporation Transport scheme) and black on white for accessible bus stops. 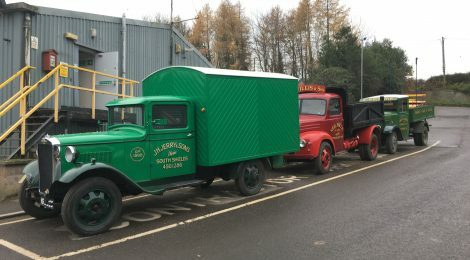 There will be further and ongoing developments in this regard to enhance the information on the transport for visitors to the museum as well clarify what is available and where. The NUT company (initials derived from Newcastle-upon-Tyne) was originally started with the backing of the Angus Sanderson firm and their manager, Hugh Mason. Hugh Mason won the 1913 Junior TT riding an NUT. They quickly established a reputation for high quality. Following WW1 the company suffered from the financial uncertainty of the period resulting in several restructurings with production ceasing permanently with the Depression in 1933. 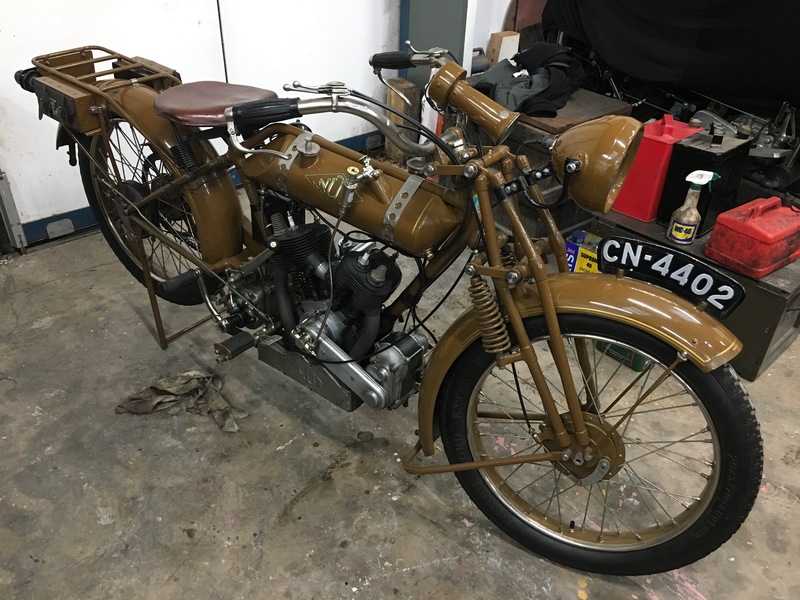 Our 1925 motorcycle was produced by the NUT Engine and Cycle Co at their own works, located at that time in Derwenthaugh, near to Swalwell, on the South Bank of the River Tyne. It carries a Gateshead registration and we believe it has spent its entire life in North East England. Fitted with a 700cc S.V. V twin engine of the company’s own manufacture and a Sturmey-Archer three-speed gearbox the NUT is fitted with the distinctive cylindrical fuel tank attached by two nickel straps and finished in the rich brown colour, synonymous with the marque. Our machine is also fitted with Lucas electric lighting and an electric horn, extremely modern for 1925. 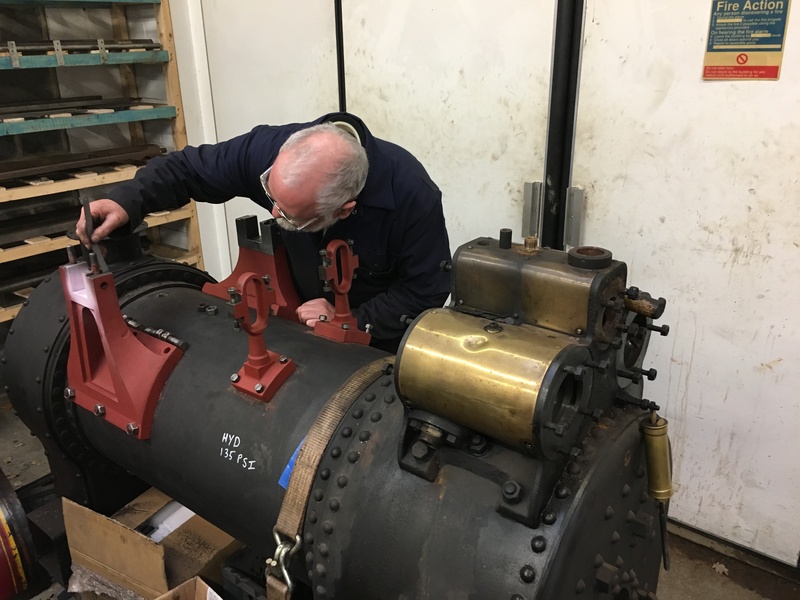 The motorcycle is currently being inspected and having a number of small jobs carried out to ready it for use at Beamish – completing its first trips around the museum under new ownership at the weekend. 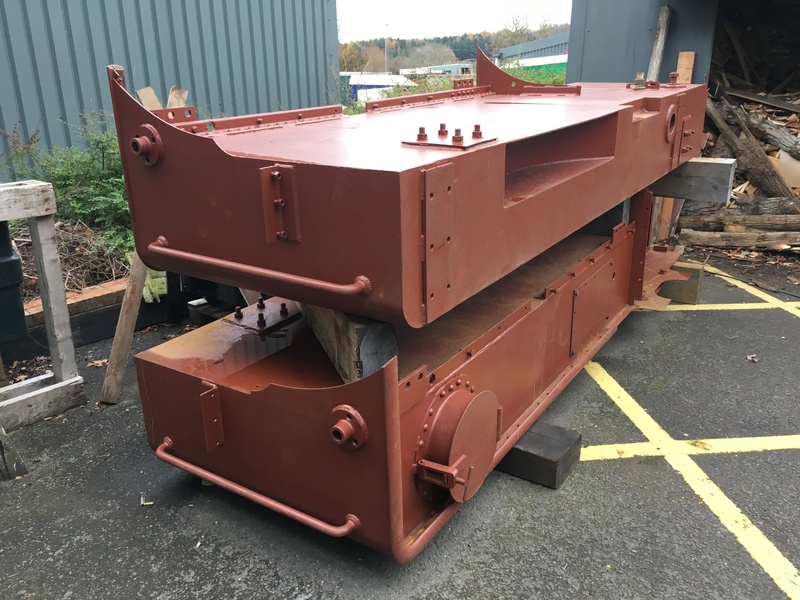 Below: Dunrobin’s new tanks have arrived from the Ffestiniog Welsh Highland Railway where they were manufactured from scratch. 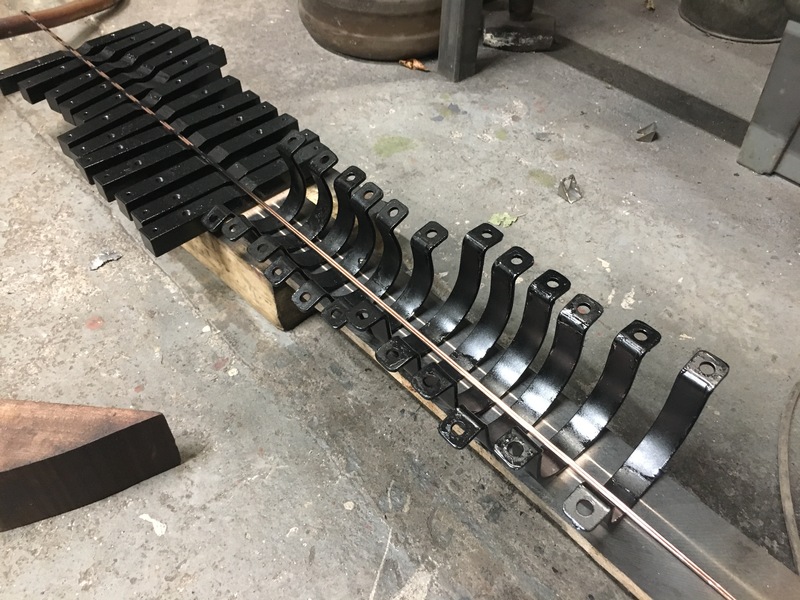 These will be dispatched to Bridgnorth in the spring once the locomotive is ready to receive them. We also have the cab roof and smokebox in store here. 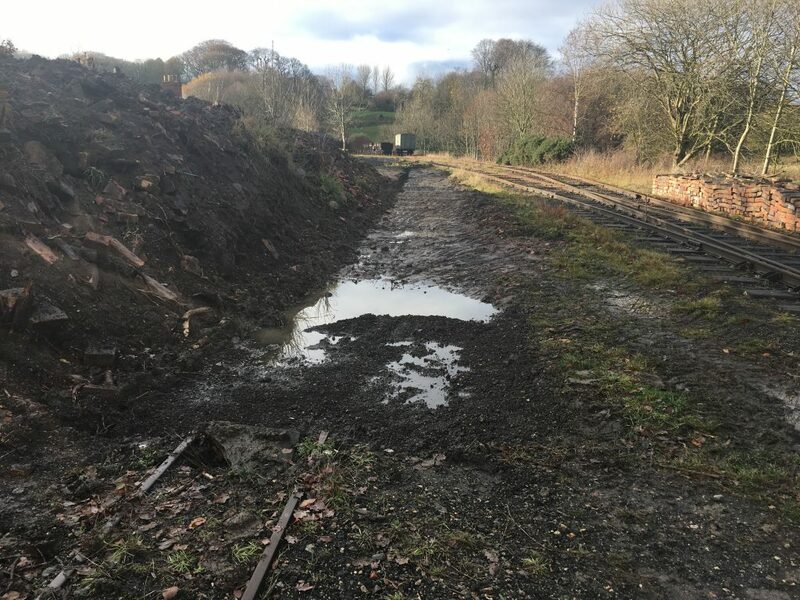 Below: Last week the bund of rubbish and earth that obscured part of the narrow gauge and standard gauge colliery lines from visitors was removed… The first view shows the bund following clearance of undergrowth and debris. 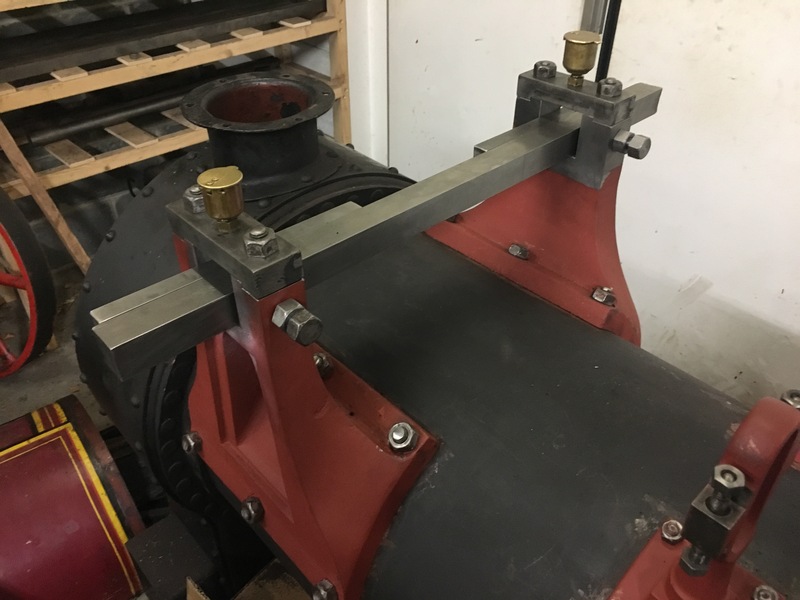 Below: This view shows the preparation for extending the narrow gauge headshunt using some surplus materials recently donated to us. Basic drainage is also being added to this area. Below: The view with the mound of earth now removed – opening up a new vista for visitors. Tidying up remains to be completed, and removal of saplings and other items not conducive to the appearance we are aiming to create in this area. 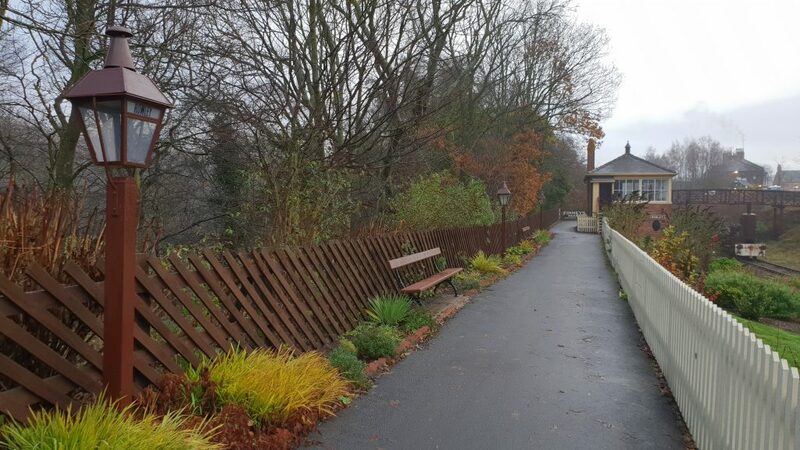 The narrow gauge headshunt will extend from out of sight on the right of this view, all the way to the extreme left of the scene – so bringing it a better visitor profile. Below: The siding behind Francis Street has long been a dumping ground for ash and other rubbish from the cottages. 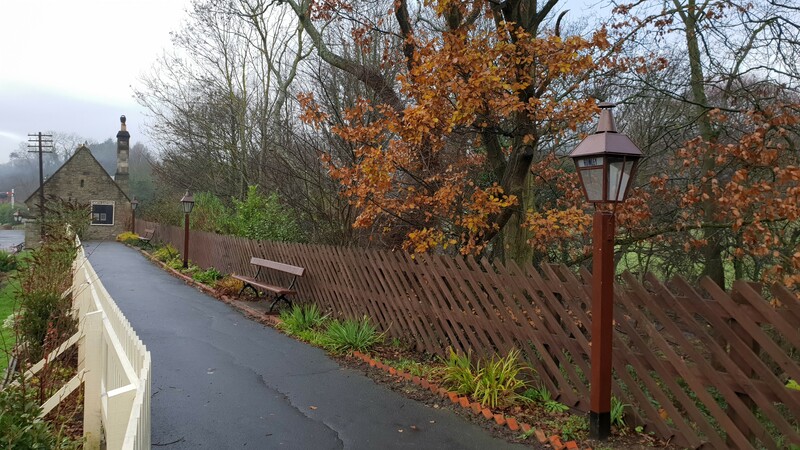 A tradition the railways have always had to deal with, but also a little annoying as it damages the fencing and becomes our problem to remove! 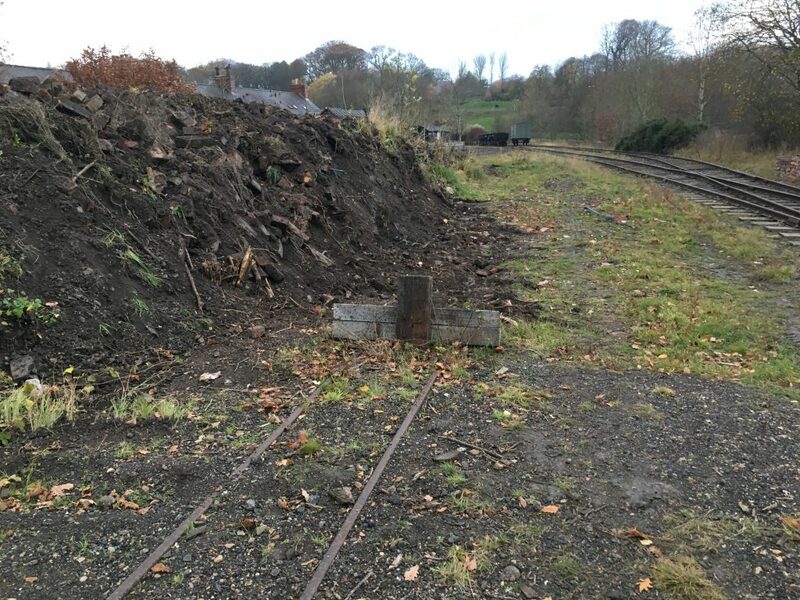 To this end, an idea has been hatched to enable ash to be gathered and removed towards a more useful purpose, and this entails some work to the standard gauge track in this area – namely the laying between the rails of a 15 inch gauge siding. 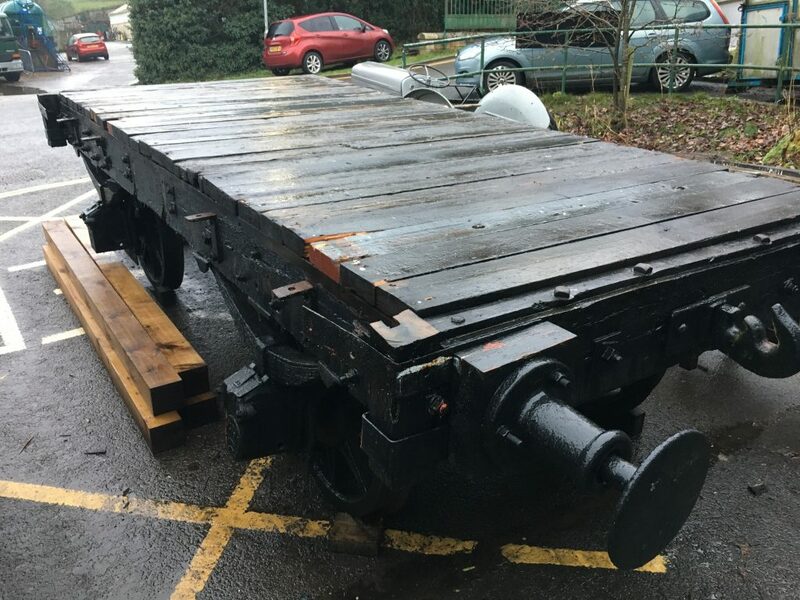 This will enable a couple of skip waggons to be filled by staff and moved by hand (or pony) to an ash dump in the vicinity. 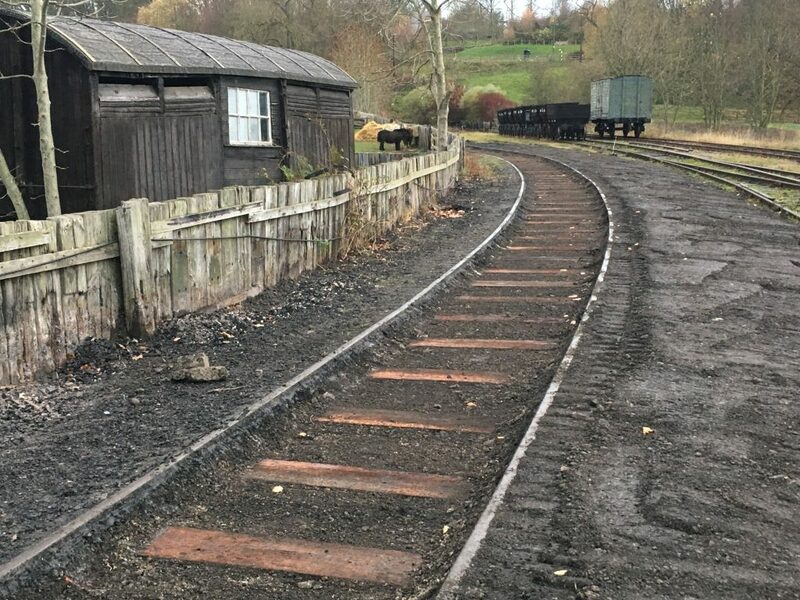 It also opens up the possibility of having the occasional visiting steam locomotive on this section of track… Watch this space! 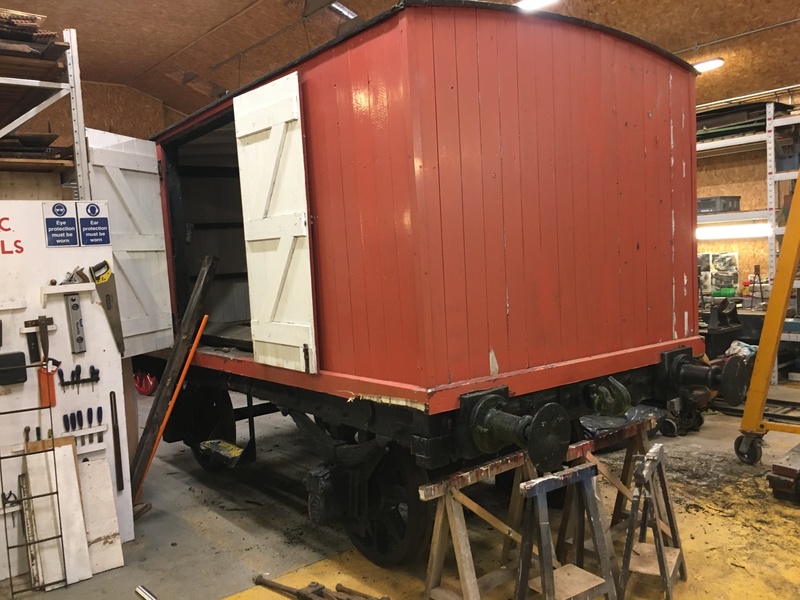 The siding will also host the chaldron waggon ‘barn’, which will accommodate four waggons (the usual working demonstration set) undercover during the winter months. This work will need ash flooring, so the benefits of gathering the domestic ash for reuse become clear! An interesting and informative Transport News Bulletin. Appreciated. Would it not be better to have the narrow gauge line run in the back lane. 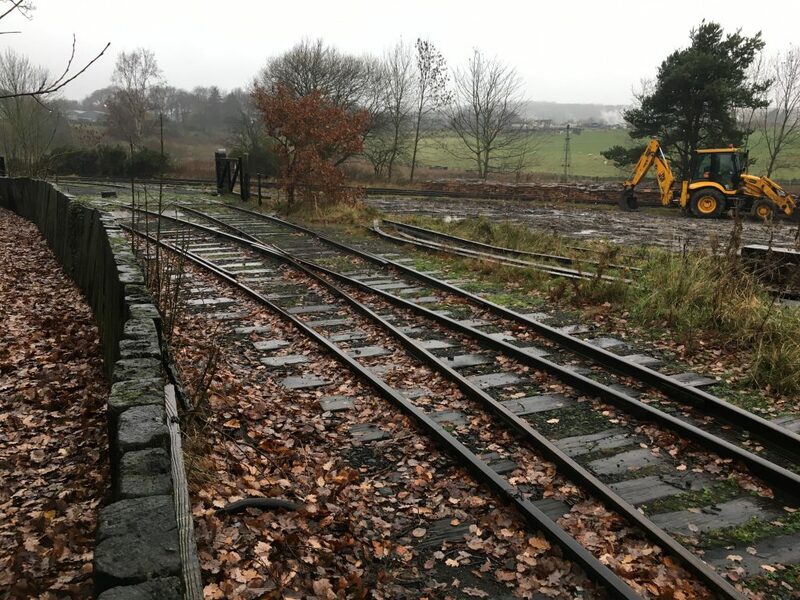 It could then be connected to the short stables line and end up on the colliery yard.